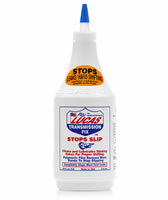 A non-solvent formula that stops slip, hesitation and rough shifting in worn transmissions and completely eliminates most seal leaks. 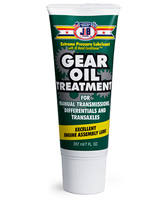 Use in any transmission for preventative maintenance. Use also in light duty manual transmissions to increase shifting ease and transmission life. A powerful blend of oils and additives that contain NO solvents. Designed to increase power and fuel mileage as well as lower exhaust emissions through a more complete combustion. 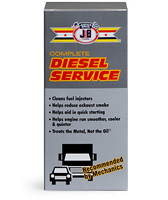 Formulated for both gasoline and diesel engines, carbureted or fuel injected. It gives your fuel system what is really needs - a blend of super slick oils and additives with a high detergent action that allows the engine to operate at maximum efficiency. 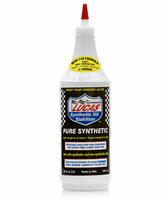 Cleans and lubricates the carburetor and injectors and causes the fuel to burn more thoroughly for increased power and less fuel consumption. Should definitely be used in vehicles that require leaded fuel because it actually replaces the benefits of lead in gasoline without causing harmful emissions. 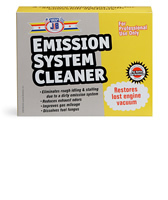 Helps engines run smoother, cooler & quieter while reducing oil consumption, wear & exhaust smoke. Increases viscosity, improving ring seal for higher compression. Contains JB Metal Conditioner®. 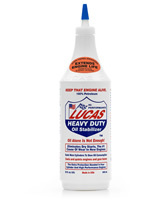 Reduces friction drag between moving parts & helps keep engine clean. Frees sticky valves, lifters & sticking oil compression rings by dissolving deposits. 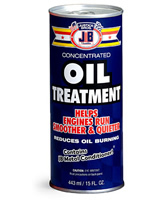 Contains JB Metal Conditioner®. Alcohol Free Formula. 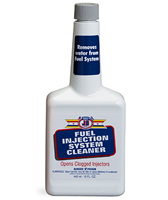 Cleans fuel injection system while you drive, while also eliminating rough idling & stalling. Will not harm catalytic converters or oxygen sensors. For Cars & Light Trucks - Alcohol Free Formula. Recommended with each fuel filter change. Reduces exhaust smoke. 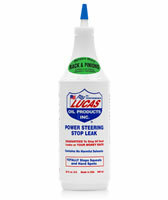 Helps fight fuel line freeze. Disperses water in fuel system. Smooths & speeds shifting in hot & cold weather. Reduces transmission & rear-end heat up to 30°F. Prevents varnish & sludge formation. Approved & tested for posi-traction & limited slip rear-ends. Contains JB Metal Conditioner®. Smooths shifting of manual transmissions while quieting gear & bearing noises helping them last longer. Prevents corrosion & reduces operating temperature. Approved & tested for posi-traction & limited slip rear-ends. 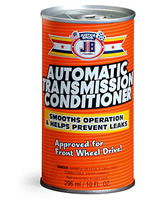 Contains JB Metal Conditioner®. 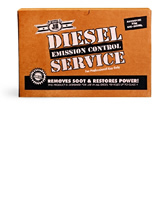 For Designed for use in all diesel vehicles up to Class 4. 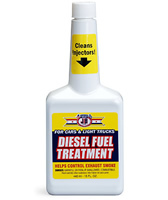 Completely cleans diesel fuel and oil system with a professional 3-step system. 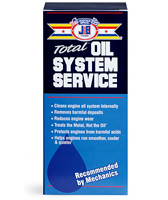 Services both the fuel & oil system with a professional 2-step kit. 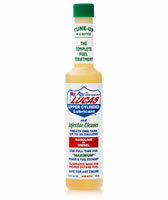 Cleans fuel injectors & helps reduce exhaust smoke while aiding in quicker starts. 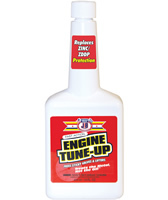 Helps engine run smoother, cooler & quieter. Our oil system cleaning with "engine tune-up," added with oil change, will help keep your oil system fresh, and will lubricate the metal after the oil system cleaner. (saves $5 over retail)- this is great to do on any car with over 80,000 miles on it, you really notice an improvement. 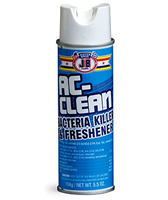 Bacteria killer & freshener that removes the unpleasant odor caused by fungus, mold & mildew while killing mold & other organisms in the vehicle’s air conditioning & heating systems. Easy to apply. Freshens interior air with refreshing mild scent. We will apply the AC-CLEAN™ while the vehicle and fan are running through the AC duct system to provide thorough cleaning. Process takes 15-25 minutes and is recommended for any vehicle with rodent infestation, or vehicles that just need a fresh start.